Confused about Tarps? Don’t be: Tarps are a great way to camp out as you are closer to nature, you can see the sunrise & sunset from your quilt, there’s less condensation and tarps are very light. In this article I present four tarps and useful accessories for beginners and experts alike so that on your next trip you can sleep close to nature under your tarp! At a wee bit over 70€ the DD Hammocks Superlight Tarp, a flat square tarp, doesn’t brake the bank and offers beginners in tarping a Tarp with which they can experiment. Use it as a Diamond pitched against a tree? No problem! As an A-Frame with your trekking poles? Voilá! As a big canopy to cook and sleep under with some friends? Of course! At a claimed weight of 460 g excluding pegs and guy lines it’s not heavy, either. 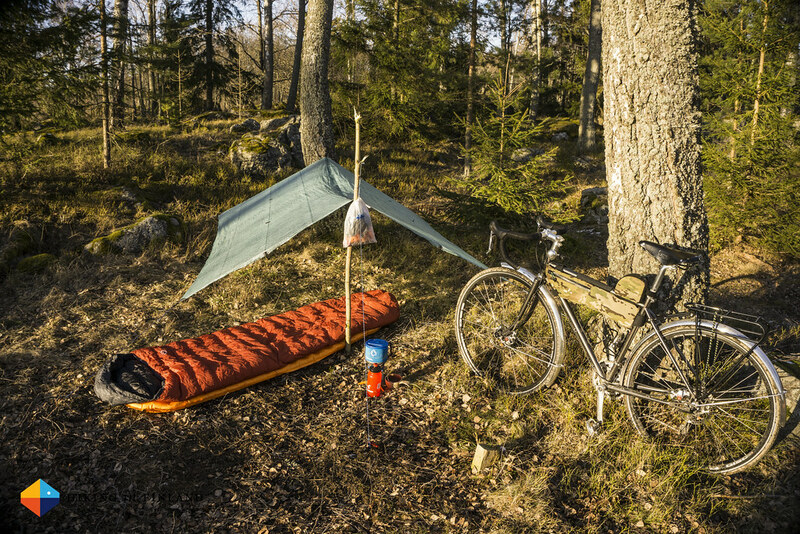 If you don’t mind more weight but want something cheaper, check out the Urberg Premium Tarp. These square tarps are very useful and could be all the Tarp you ever need if you stay low on your trips or are not afraid to experiment with pitching it! PicharPak Workshop is a Cottage Manufacturer out of Hong Kong and it’s owner Jason makes some superb Tarps. The colourful DS Tarp is made from Spinnaker and weighs a mere 279 g incl. the guylines and stuff sack - that’s pretty amazing! Add in that they are priced very good and this makes for the perfect tarp for anyone that wants some more colour in there outdoor life. These tarps also allow you to pitch higher in the mountains as they can be pitched with trekking poles, and you can pitch them very low so they create a nice windproof shelter. The advantage of Spinnaker is that it is light and comes in many different colours - much more than just grey! And as you usually pitch your tarp when it rains this means at least you’d be sitting under a colourful piece of fabric instead of one which has the same colours as the clouds above! 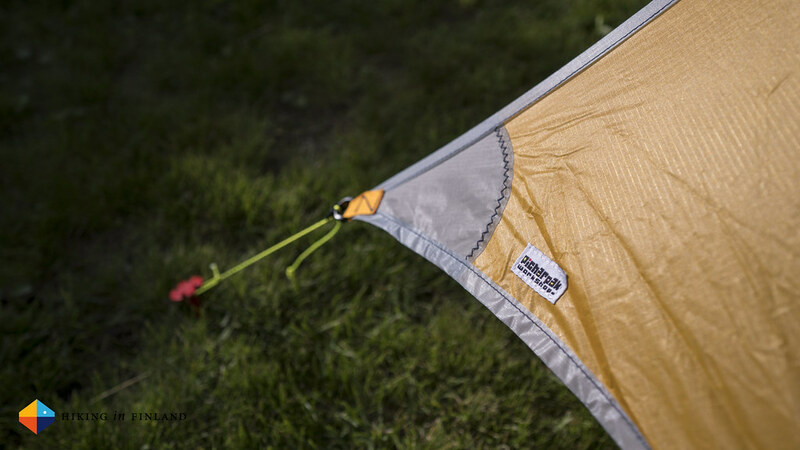 A Catenary Cut Cuben Tarp is in my experience much easier to pitch and they are also really light. 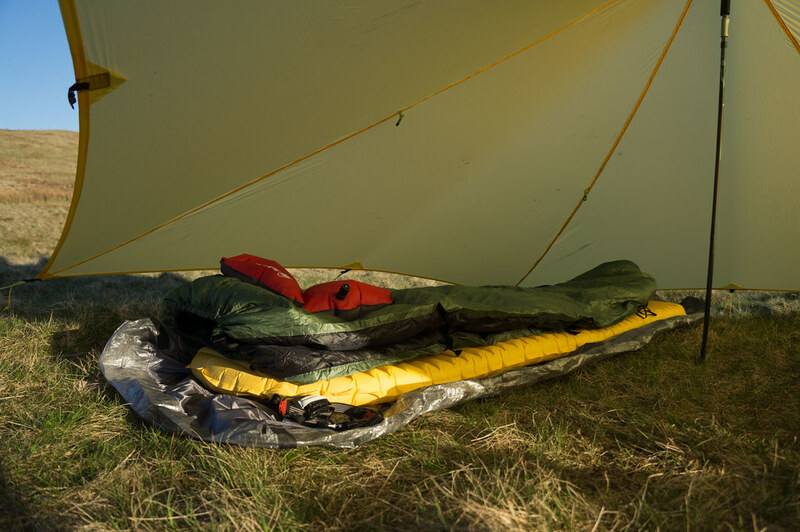 Some argue that they’re less flexible than flat tarps because you only can pitch them in a limited number of setups - if these work for your trips, though, there’s nothing that speaks against them. I personally really like Cat-Cut Cuben Tarps and they work great for my trips in the forests and hills. These tarps are pretty pricey, though - that’s because cuben is an extremely expensive material and also the Cat Cut is more work-intensive than a simple square. But if you invest the $€£ then you get a great Tarp that will make you happy each time you pitch it. In this category fall the Hyperlite Mountain Gear Echo II and the Yama Mountain Gear 9’/7’ X 9’ Tapered Tarp, among several others. The Hyperlite Mountain Gear Square Flat Tarp is the ideal choice for ultralight backpackers which have reached a Zen Master level. The versatility of this shelter is just like the Beginner Tarp, just that this Cuben Version is a lot lighter - my 8’6” x 8’6” tarp weighs 289 g including guylines! 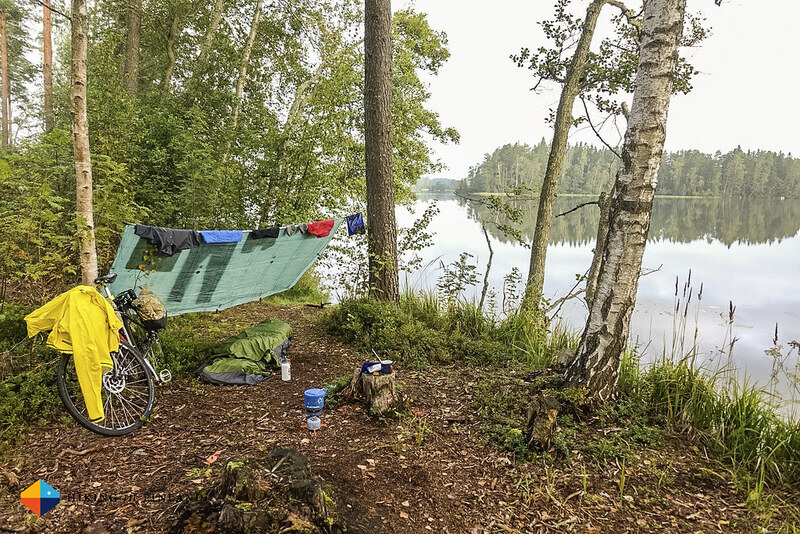 This is a lovely tarp that’s very easy to pitch in many different ways, and I find it ideal for bikepacking as I don’t need to carry poles with me - I usually pitch it between trees or look for a death stick to use as a pole. 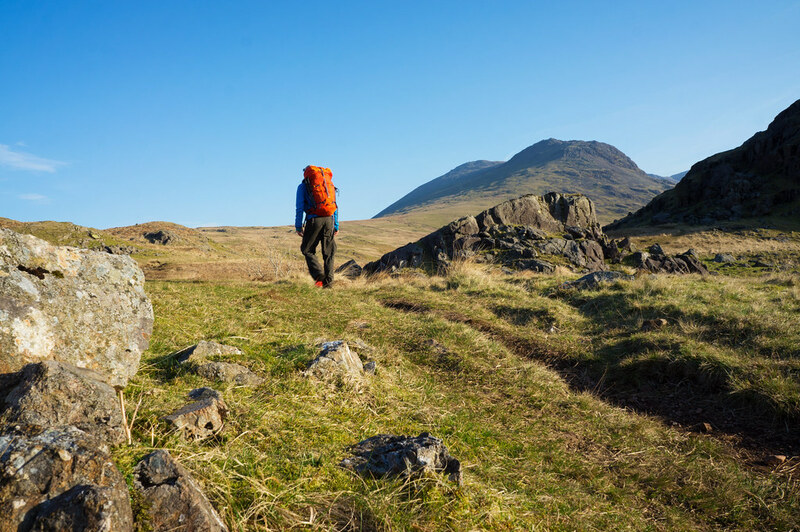 Usually you won’t encounter a Tarp Enthusiast without a Bivy on the trail. Tarp + Bivy go hand-in-hand as both are ultralight, versatile in use and pack really small in your pack. I am using a Wilderness Threadworks Cuben + Silnylon bevy which I love, but I equally loved my Tyvek LAUFBURSCHE Bivy. If you decide you need a bivy: Buy some Tyvek and start sewing, a simple bivy is the easiest MYOG Project you can start with. The Mountain Laurel Designs SuperLight Bivy is very light and popular, too. And the beauty of the bivy and tarp combo is of course also that you can use them on their own just like the weather dictates! If you like something with a bit more headspace than a bivy bag then the Yama Mountain Gear Bug Shelter Silpoly 1P or the Hyperlite Mountain Gear Echo II Insert allow you still to see the sunrise and sunset from your quilt, but without mosquitos or midges buzzing around your head. 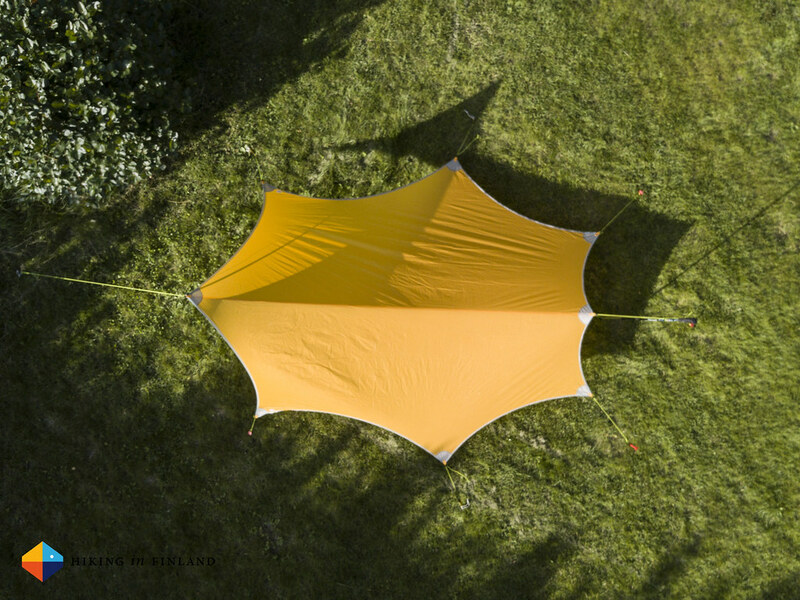 These also transform your tarp into a tent as now you have two layers of fabric between you and the outdoors - one to keep the bugs out, and one to keep you dry. Of course, just like the bivy, you can use the net shelters also on their own on pretty days where it won’t rain but the bugs are a problem. You can’t pitch your Tarp without Pegs. 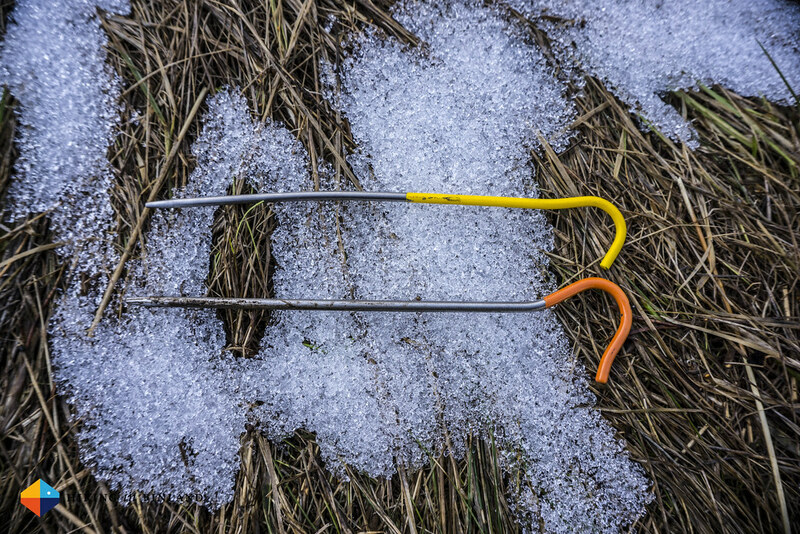 I always carry a wide variety with me and regularly test new ones, currently I often use these Swiss Piranha pegs, the MSR Mini-Groundhog Stake, some simple Aluminum Tent Pegs with a colourful head so they’re easier to locate and some V Pegs as these are pretty versatile in many different kinds of terrain. It’s best to carry just the right amount of pegs with you which you need to pitch your tarp, and use two strong pegs - like the Swiss Piranha ones - for pitching out the main guylines. Guy lines are also something you’ll need for your tarp. There’s many different kinds and pretty much every tarp mentioned above comes with some sort of it, but the best in my opinion is a reflective Dyneema cord as these are very strong and you can see them in the light of your headlamp at night. There’s nothing more annoying than tripping over your guylines at night when nature was calling, as then you’ll need to pitch the tarp again in the worst case. Thus: Reflective cord! I’m not a fan of Ground sheets at all, I find them messy in use (as in packing them up after a wet night) and hence I don’t use them. But there’s plenty of tarp enthusiasts who use a ground sheet, and Polycro is very much liked for its very affordable price and SUL weight - though an Emergency Blanket is just a few grams heavier and can be used in an emergency as the name suggests; plus it might keep you warmer at night as it reflects heat. 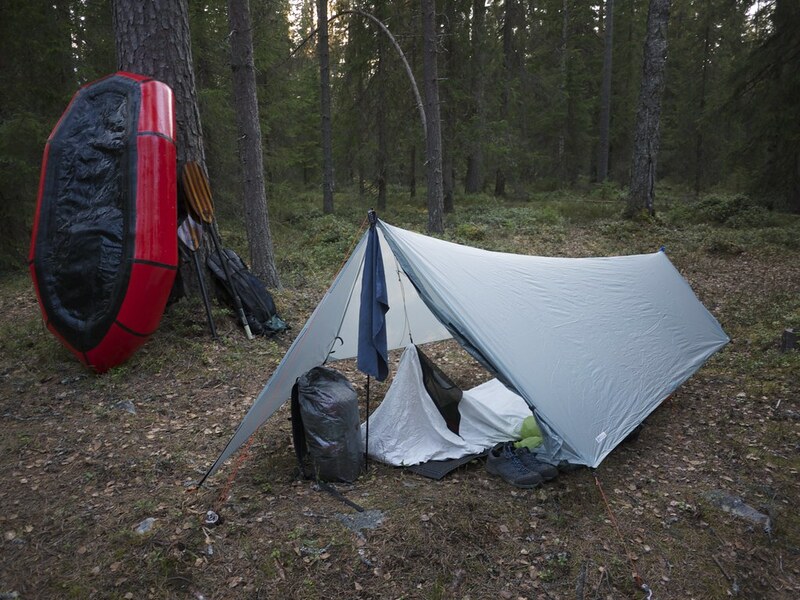 The Bottomline is that tarping is fun, easy, affordable and allows you to be closer to nature. Because, lets be honest: There isn’t always much sense in going out into nature and then hiding between several layers of synthetic fibres from the views (there’ certainly situations where that makes complete sense, but those are probably less than 50% the case). Sleeping outside should mean you sleep close to nature, and with a tarp and Bivy there’s very little which seperates you from it - try it out sometime! That’s it! Yes, there’s other Tarps out there which might/ could/ should have been in this article - let me know what I missed in the comments, as well as Tarp Tips you might have! Disclaimer: Several of the mentioned Brands - PicharPak Workshop, Hyperlite Mountain Gear, Wilderness Threadworks, amongst others - have provided me with samples of their equipment. But as you know: I’m keepin’ it real and tell you how it is - I maintain full editorial control of the content published on Hiking in Finland. Read the Transparency Disclaimer for more information on affiliate links & blogger transparency.